In the first hour or so Yasmin will guide you through mindfulness practices that help cultivate an increase in physical, mental and emotional wellbeing. By directing our awareness to our experiences and working with the breath, the body and whatever is present in our experience we can develop skills that help us savour the good and respond with greater wisdom to what is difficult. Mindfulness is a skill we can all develop bringing greater peace, compassion and happiness to our every day lives. This session is suitable both for people who are new to mindfulness and want to experience the practices first hand and also those who have studied and/or practice mindfulness regularly and would like to enjoy practising in a small group setting. 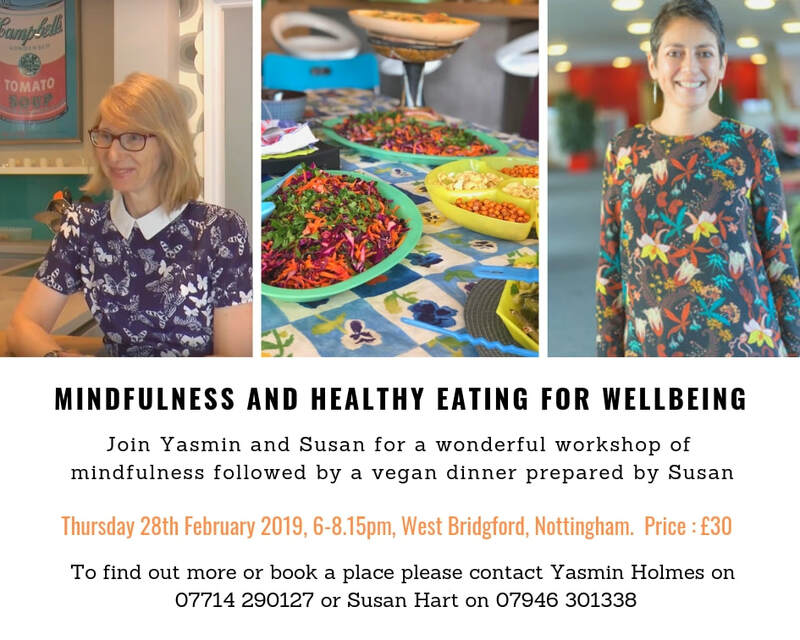 When we bring the quality of mindfulness to our eating, we can enjoy our food even more and so at around 7.15pm we will also practice eating mindfully with Susan’s delicious and nutritious vegan dinner. This session is all about healthy eating and enjoyment. 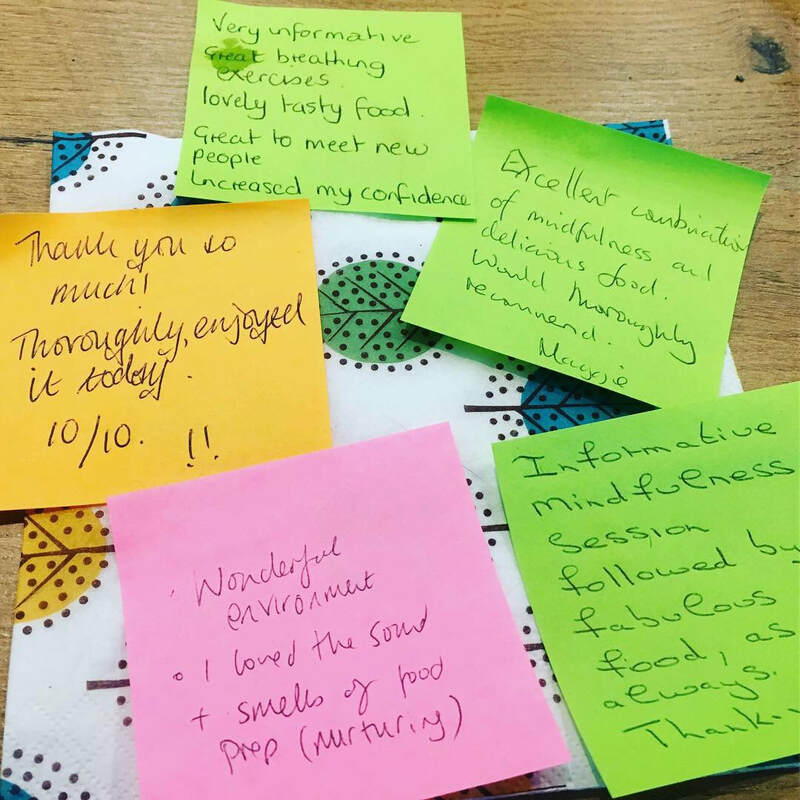 We’ll spend time relaxing around the table and as a trained nutrition coach and chef Susan will share some of her nutritional expertise, deliver tips for healthy eating and answer any questions. You will get the recipes too. All whilst you all enjoy a healthy balanced vegan buffet meal.